Back in January, at the annual TechZulu Startup Forecast, our panel of industry leaders and investors spent a healthy dose of time discussing the ongoing JOBS Act (Jumpstart Our Business Startups) and the investing sphere at large. With provisions such as the lifted ban on general solicitation, and dramatically expanded limits on shareholder numbers; our panel of industry experts predicted a large year for startup investing – with huge, swinging possibilities for growth, as well as higher risks, and a shaking out of unqualified investors and startups. With this in mind, we figured it would be a great opportunity to get a direct look from someone who’s been immersed in the field, and spoke to Chance Barnett, CEO of LA-local investment platform, Crowdfunder. A quick glance at Crowdfunder provides a peek into an impressively large portfolio of funded startups and small businesses; to the tune of ~8,800 companies, 45,000 investors, and over $66M in deal flow across Startups, Social Enterprise, and Small Business. Chance was recently featured on Fox News for comments on Facebook’s high profile acquisition of wearable VR company, Oculus, for an impressive $2B – and what that meant for early adopters who initially helped the company get off the ground by funding through Kickstarter. We cover a lot of ground on multiple topics including Chance’s inspirations behind the company, what the JOBS Act means for startups, and what role Crowdfunder plays. And for the entrepreneurs who have tuned in, he also gives some insights into best practices for those looking to raise cash, so you don’t want to miss out! Chance is a local grown entrepreneur with a 15 year track record. With five companies under his belt, the time he spent around the Silicon Beach block eventually led him towards putting personal time and money into angel investing and advising. Throughout his company building career, he formed two bootstrapped companies, and a third that required significant capital. It was at this point that he learned first-hand the experience, and difficulties of raising money. He’d figured building companies would yield the effective skills necessary. His realizations hit home. He found it was extremely difficult to raise money and had a limited network. This all, circling around 2008, a shy year for startup investments. 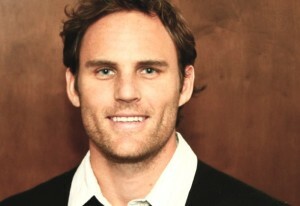 His dual experiences, both as an entrepreneur and investor yielded him double the frustrations. There had to be a better, simpler way to break through the closed doors of the investing world, for himself, and other entrepeneurs. Chance gives respect for pioneering services like Angelist, who have blazed the trail in connecting top investors to connect with startups. But unlike their peers, Crowdfunder’s focus is primarily to serve startups, the company founded within heavy involvement in grass roots and capitol hill efforts in Washington DC, to push the JOBS Act through. Crowdfunder was the result of a coalition of many players, and by the time he’d acquired the domain, the team was already on board to build. As quickly as the bill began to pass new regulatory statutes, Chance was able to build up an active network of accredited investors. An interesting scenario painted against the big, lumbering deals we’re used to in the tech world. Though they have pending high profile deals (with notable names like Mark Cuban) in the works, Crowdfunder’s focus is on entrepreneurship as a whole. They advocate for the local neighborhood bakery as much as the game changing techies. In order to encompass both, they need to build a large platform. Internationally, they’ve also taken and expanded into Mexico and Latin America. The need for capital there, Chance reports, is much more dire. 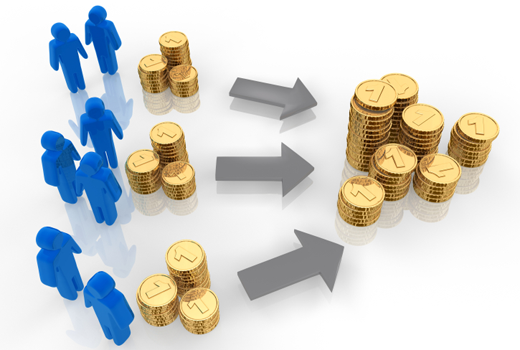 A large component of Crowdfunder’s success has been their CrowdfundX concept. Think of it as a virtual pitch frame that allows local angel investors to group up and run their own demo days. In it, they can put up a call for the best startups in [industry], or solving [specific problem], or using mobile [protocol/tool]. “Our platform powers the entry and collaborative voting process. Startups can pitch through the platform virtually or at live events, while investors run the terms. The JOBS Act. A Huge Risk for 2014? Opposing predictions we’ve heard, Chance does not believe a ton of people are “just going to lose a ton of money”. Though whispers carry the phrases fraud and risk, Chance reminds us that there are very specific caps on the amount allowed for new investors. Timing has been paramount for Crowdfunder, now with a well cultivated pool of accredited investors. To date, they have closed 18 seed & series A deals in the first 180 days of live investing. But the most exciting part, Chance reports, is the active lineup of investors to help a new class of greener peers. 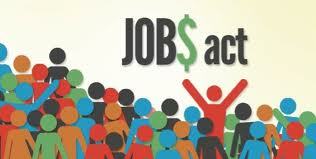 “The JOBS Act doesn’t mean anyone and everyone can invest in whatever they want. That can happen regardless of regulations, but we want to focus on leveraging the work that experienced investors are doing to help new ones. Chance reminds us that with Crowdfunder’s platform focus, their goal is to provide exposure and help entrepreneurs create connections, not to be mixed up with broker <-> dealer models. 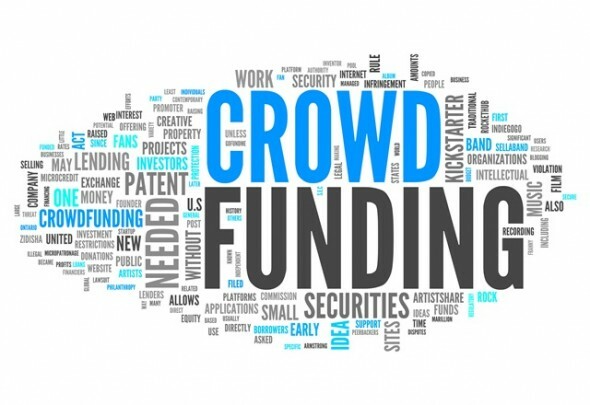 With Crowdfunder, entrepreneurs can fundraise, bring in their own investors, then use the Crowdfunder platform to market themselves accordingly. Chance gives some insights into what he’s learned over the years. First of all, he believes legislation is something everyone, in general, should pay more attention to. Startup entrepreneurs are situated as disruptors and drivers of innovation. And even in the wild west of tech, policy change can yield direct results. His advice: Learn from people with experience. “Talent and ambition are great, but experience is something you can’t buy, only earn. Entrepreneurs focus on the check, but they need to remember it is a very different decision making process for investors. Connect with entrepreneurs who have been successful with fundraising. It will allow you to throw the learn quick mistakes out, things that make investors say no thanks. And through this process, by function of connecting with experienced entrepreneurs, you’ll build up relationships and find people who can refer you to resources and/or investors. Chance believes investing is rooted in irrationality. “We lean on taking quantitative approaches, but if you only speak to and solve quantitative analysis for investors, you’ll never raise money. Why? If the irrational side isn’t engaged, you lose the human aspect. You need to appeal to both sides of the brain. Get good at telling your story. This is universal. Early stage investors, whether they admit it or not, aren’t just in it for hard, dollar returns. They like getting in on deals in compelling spaces and enjoy telling others about why they love the companies they work with; they don’t repeat metrics and return models. Which moves us into our final advice point. Avoid too much info. “This relates to good storytelling. If you give an investor every fact about your business, you’re lose out on them selling themselves on the investment. It’s okay to leave them with cliffhangers, or info they can’t understand. Because it actively engages their brain and gets them thinking about your company. Don’t let your story become a powerpoint deck: 10 point font, bullet points. No one thinks that way, nor do they like to be communicated in that manner. And with that, we close our story on the Crowdfunder platform, with Chance’s final thoughts. “I’d like to give a final plug. In fundraising, you need feedback. That’s what we provide. In the past, you had to rely on pounding the pavement. But now with resources like ours you can put up a public pitch/presentation and investors can find you. We’ve had multiple entrepreneurs, many of whom we haven’t met, raise up to $450k in less than 30 days, without any work of our own. Investors found them, loved their stories, and were responsive. Deals were made both online and offline. We believe startups should try multiple platforms, others included. Be sure to visit Chance and the good folks at Crowdfunder to keep up with their progress as well as getting his direct perspective on the crowd investing model vs traditional crowd funding via Kickstarter (on Fox News). Tim Wut was once in pursuit of a paper-laden career in bankruptcy law. He now writes for TechZulu, covering startups and founder stories. He explores the inspiration that drives entrepreneurs and shares lessons learned in the startup trenches. Writer by trade, storyteller at heart. Barnett’s an idiot. Here’s his top company of 2015. Ascenergy. Read about how the founder absconded with all the cash. I warned Chance about this over a year ago, he sent me an attorney letter stating no affiliation with companies on his site where he is indeed promoting companies. Yeah, really makes sense. His site is rigged toward the promoter 100%. No due diligence allowed here. Awesome addressed I at any point saw. It is my first time I visit here. The way you make a site exceptionally intensive and great. This is exceptionally amazing. I discovered such a large number of engaging stuff in your addressed Post, particularly its talk. Great answered I ever saw. It is my first time I visit here. The way you create a website very thorough and good. This is very very impressive. I found so many entertaining stuff in your answered Post, especially its discussion. StartupDemo Was a Huge Success! Congrats To The Presenting StartupDemo Companies! Internet of Things (IoT) – What’s Next in Automotive? Mutli-Cloud: The Future of Cloud Computing? What’s Causing The IT Talent Shortage? TechZulu Tech Crawl | Culver City Edition! Streaming Live from NMX & NAB All Week!